It is important that patients know that all surgery comes with a certain level of risk. Understanding the warning signs to look out for after plastic surgery is essential to mitigate complications before they become serious. This is crucial to ensure proper healing and your overall wellbeing. At Northwest Plastic Surgery Associates, PLLC, Dr. Stephen P. Hardy and our staff go over some possible signs that indicate that you need to contact us immediately for a follow up appointment. Read on to learn more, and then contact our Missoula, MT practice to schedule your consultation with us. After surgery, it is normal to feel some pain for a few days or up to a week. You will be prescribed pain medication to use as directed or over-the-counter medicine to control any tenderness or discomfort. If you are feeling persistent and severe pain, even after taking your medications, please contact us right away. A common side effect after any surgery is swelling. You can expect swelling for about 10 days to two weeks after surgery. If the incision area remains swollen, tender, red, or feels hot to the touch, you may have an infection. If you notice any of these symptoms, contact your surgeon right away. It is normal to feel some tingling or numbness after the procedure. If this symptom continues for several weeks, talk to your doctor right away as it could become permanent. You can anticipate bruising for about 10 days to two weeks. If the bruises last longer than 10 days, spread, deepen in color, or become hard to touch, then it may be turning into a hematoma. A hematoma occurs when the blood pools under the skin but doesn’t drain. This may require our team to perform another procedure to drain the blood. Minor bleeding may continue for a couple of days after surgery. If you normally take blood thinners, you will need to stop taking them a few days prior to surgery. Continual bleeding can increase the time it takes for the wounds to heal and means it is not healing properly. Contact us right away should the bleeding last longer than a few days. This is also known as tissue death and can occur after any surgery. During the normal healing process, dead tissue cells should be eliminated. 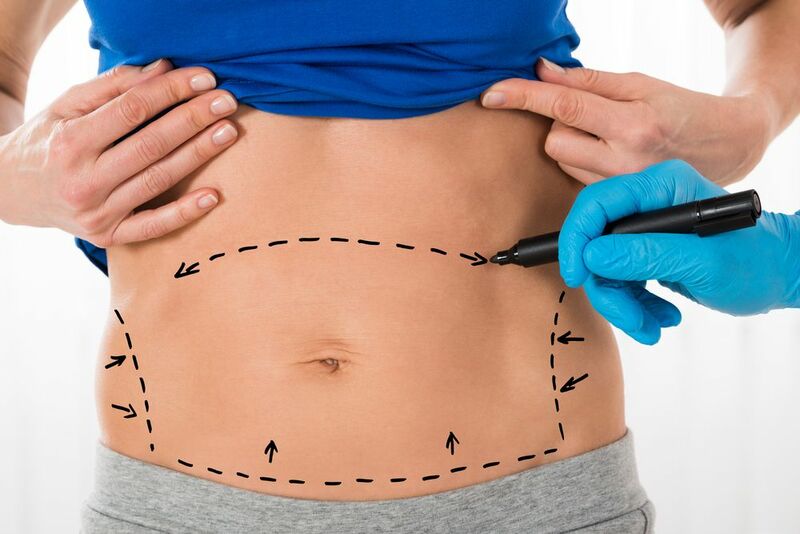 If the incisions appear abnormal in appearance, your surgeon will need to take a closer look. A fever is a universal sign of infection. If you begin running a fever and the incision sites feel excessively warm to touch, it is possible that an infection has set in. Pain after surgery should be manageable and improve after a few days. Any unusual collection of fluid, discharge coming from the incision site, or strange smells could be a sign of infection and should be addressed with your surgeon immediately. This is a common risk after any surgery. A blood clot can be life-threatening. The most common type of blood clot is called deep vein thrombosis, which begins in the leg. If it moves through the veins near the heart or lungs, it could be fatal. Blood clots require immediate medical attention. Patients can reduce their risk by walking the first few days after surgery to keep circulation going throughout the body. It’s important to be aware of these possible complications in case a problem develops. If you feel something is wrong or notice any of the above signs, please contact us right away at 406-728-3811. If you would like to learn more about the plastic surgery options we offer, visit us online or contact us here.